We know your time is valuable, which is why we’ve tailored our services to minimize your time spent at the dealership. 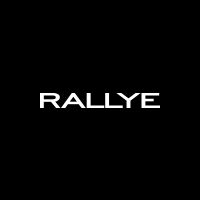 Express Service is the same expert service that you have come to expect and trust from Rallye Motors, it’s now simply faster. Our team of Mercedes-Benz Factory Trained Technicians work side-by-side performing the required maintenance on your vehicle and, in most cases, in about 1 hour or less(please allow additional 10-15 minutes if car wash requested). To enjoy convenient, first-class service for your Mercedes-Benz, we welcome you to stop by today and give our Express Service a try. Express Service is available Monday-Friday from 8:00am until 4:00pm and Saturday from 7:00am until 1:00pm. There is no appointment necessary, although you are welcome to make one. Our Express maintenance technicians follow all Mercedes-Benz guidelines using Mercedes-Benz approved equipment, parts and accessories. Relax in our comfortable customer lounge equipped with WiFi and cable TV while enjoying complimentary snacks & refreshments. For more information and to schedule your appointment, please contact our Service Department at 516-473-0791. We are currently updating our Express Specials. Please check back soon.